CUD Honours our Sporting Heroes. 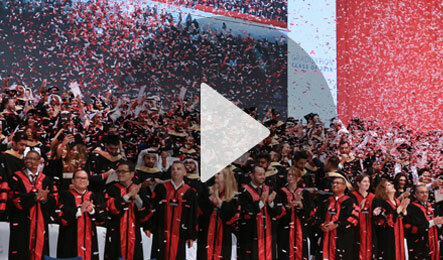 Alongside an outstanding academic experience, Canadian University Dubai offers a vibrant and inclusive student life. You will find an extensive range of opportunities to become part of the social and recreational aspects of our campus community. To get the most out of your university experience, we encourage and support every student to get involved in some form of extracurricular activity. You can choose to build upon an existing interest or talent, or try something for the first time and develop a new set of skills. As well as providing an enjoyable balance to academic life, it can help you to develop confidence, leadership skills, and other capabilities that will be helpful as you pursue your career goals. Extracurricular activities also provide students with the opportunity to use their strengths to make an impact on the local community.